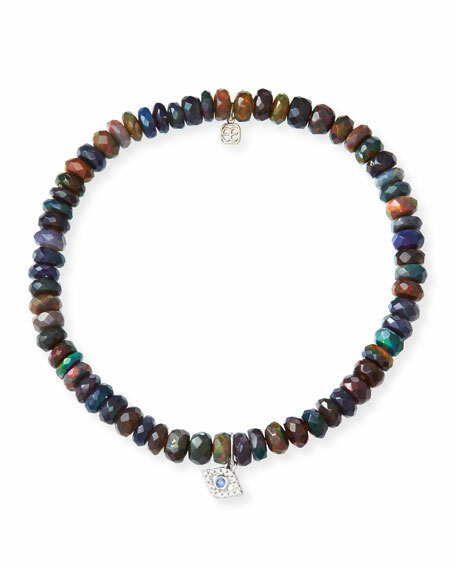 Sydney Evan Ethiopian opal beaded bracelet with evil eye. Polished 14-karat white gold and faceted Ethiopian opal. Diamond pavé evil eye with bezel-set sapphire pupil. 5mm black and blue faceted Ethiopian opal beads.